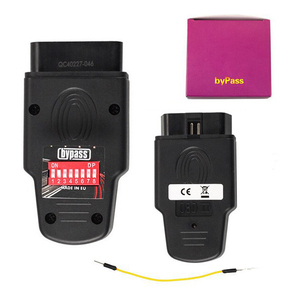 Vag Immo Bypass TOP Rated Car Immobilizer Bypass Immo Bypass Ecu Unlock Immobilizer Tool Immobilizer Bypass Vag Introduction BYPASS for Au-di Skoda Seat VW ECU Unlock Immobilizer Tool USE: Tdi EDC16- immo off Tdi EDC16- immo on K-line + Can Test on drives: 0281011XXX K-Line 0281011145 VW Passat B5 2.0 Tdi mechanical igniton switch 0281011258 VW Tourareg 2.5 Tdi 0281011364 A3 1.9Tdi 2004 0281011383 0281011385 0281011568 VW T5 2.5 Tdi 2006/2007 0281011843 Golf5 2.0 Tdi 2004 0281011844 VW Touran 2.0 Tdi 2004 0281011855 VW T5 1.9 Tdi 2003 0281011856 VW T5 1.9 Tdi 2005 0281044882 VW Caddy 1.9 Tdi 2006 0281011883 Skoda Octavia 1.9 Tdi 2004-2010 0281011900 0281011945 0281011946 Touran 1.9 Tdi 2006 0281011907 Touran 2.0 Tdi 0281012XXX K-Line 0281012220 VW GOLF5 1.9 Tdi 2005 0281012390 VW Caddy 1.9 Tdi 2003-2010 0281012696 Seat Alhambra, VW Sharan 2.0 Tdi 2005-2010 0281012698 Skoda Super B 2.0 Tdi 2006 0281012762 VW T5 1.9 Tdi 2006-2010 0281012792 CAN 0281012113 for Au-di A4 2.0 Tdi 2008 0281012545 for AU-DI 1.9 Tdi 2007 0281012546 for Au-di 1.9 Tdi 2006 0281012654 for Au-di 2.0 Tdi 2005 0281013XXX K-Line 0281013228 VW Jetta 2.0 Tdi 2007 0281013299 Skoda Octavia2 2.0 Tdi 2005-2011 0281013302 VW Touareg 2.5 Tdi 2005-2010 0281013311 VW Passat 2.0 Tdi 2005-2009 0281013440 VW Passat C 2.0 Tdi 2005-2009 0281013606 VW Golf5 1.9 Tdi 2006 CAN 0281013177 A6 2.7 Tdi 2007 0281014XXX K-Line 0281014004 0281014044 VW Touran 1.9 Tdi 2006-2010 0281014049 T5 2.5 Tdi 2007 0281014064 VW Golf 1.9 Tdi 2006-2008 0281014128 Tauran 1.9 Tdi 2006-2010 0281014136 Skoda Octavia II 1.9 Tdi 2006-2010 0281014891 T5 2.5 Tdi 2009 CAN 0281014384 A6 2.7 Tdi 2007 Tdi EDC15-immo off, immo on: 1.4 1.9 2.5 diesel, since 2000 year to 2004 year, some to 2006 year and even to 2008 year(without for AU-DI with coded pump) Selected the needed program with swtiches: Tdi EDC16 K-Line immo off(3) Tdi EDC16 K-Line immo on(1+3) Tdi EDC16 Can 1.9-2.0 immo off(1+3+5) Tdi EDC16 Can 1.9-2.0 immo on(2+3+5) Tdi EDC16 Can 2,7 immo off(1+2+3+5) Tdi EDC16 Can 2,7 immo on(4+5) Tdi EDC15 immo off(2) Tdi EDC15 immo off(2+1) How to use: Turn on the ignition switch Connect the device to the diagnostic plug Led is bliking fast, if after one minutr it will blink slowly then disconnect device then immo is turn off permanently. 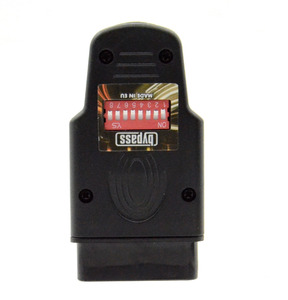 Gasoline, diesel without CAN(to about 2001)-emergency start(1) Connect with the head of the cables plugs of the instrument cluster or immo as pictured Connect the device to diagnostic plug Turn on ignition(to 10 seconds) If led blink slowly then turn on the car. Gasoline, diesel without can(to about 2001) emergency starts after connecting pins of instrument cluster or immo Connect with the heads of the cables pins of the instrument cluster Connect the heads of the cables to 5th pin in green plug of instrument cluster and 25th in the blue plug(in for Au-di pin 28) With immo box: plug with 6pins, heads of the cables to pin 2 and 3 Plug with 8pins, heads of the cables to pin 7 and 8 Plug with 12pins, heads of the cables to pin 9 and 10 Plug with 10pins(older cars without CAN) heads of the cables to pin 7 and 8 Plug with 12pins, heads of the cables to pin 6 and 8 Immobilizers Simulator Connecting the emulator Red-power Blue-GND Green-Code White-CAN L Black-CAN H Two Leds incidcating: Whilte LED-Power Blue Led- information about transmission - all switches turn off- diagnostic mode 2 sec do not light/ 1 sec will blink -Adjusting to the driver-blinking 1 sec -After adjusting 2 seconds is light on and then will stop for 1 sec If you have any more question or need more discounts,pls feel free to contact us. 0 Notice: 1. IScancar Language: English 2. 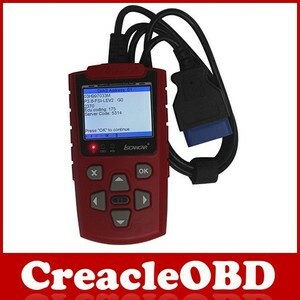 ISCANCAR VAG KM IMMO OBD2 Code Scanner will not support some dashboard, When you find IScancar OBDII EOBD Cars Trouble Codes Scanner which does not support your car, please use diagnostic function to read the dashboard number and send us this number. 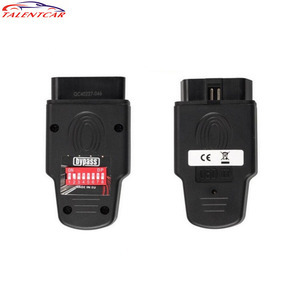 Read Immo Code: IScancar Codes Scanner support reading immobilizer code for Volkswagen, Audi, Skoda and Seat from engine control unit, immobilizer dump and dashboard by OBD2 diagnostic interface, no need to remove immobilizer dump and dashboard, no need to remove and weld chip. 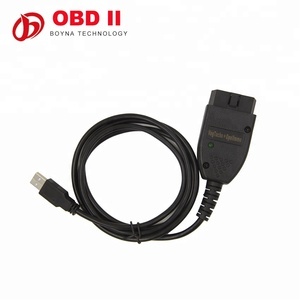 IScancar OBDII EOBD Cars Trouble Codes Scanner support car models: all Passat models, Jetta, Santana, Audi A6, A4, A8, Sagitar, Caddy, Touran, all Polo models, all Bora models (including new Bora), Golf and Skoda. 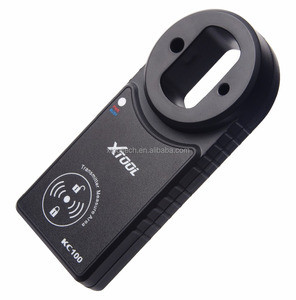 It supports almost all control modules of VW Audi vehicles, and maintain dashboard mileage, read immobilizer code and match key. It supports read computer version number, read and clear trouble codes. 4. Specialized in chargers and adapters over 5 years 5. A team of designers and engineers are capable to create new items according to personal request. 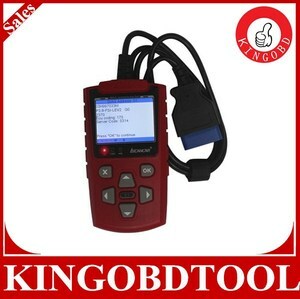 BYPASS For Audi Skoda Seat VW ECU Unlock Immobilizer Tool USE: Tdi EDC16- immo off Tdi EDC16- immo on K-line + Can Test on Drives: 0281011XXX K-Line 0281011145 VW Passat B5 2.0 Tdi mechanical igniton switch 0281011258 VW Tourareg 2.5 Tdi 0281011364 A3 1.9Tdi 2004 0281011383 0281011385 0281011568 VW T5 2.5 Tdi 2006/2007 0281011843 Golf5 2.0 Tdi 2004 0281011844 VW Touran 2.0 Tdi 2004 0281011855 VW T5 1.9 Tdi 2003 0281011856 VW T5 1.9 Tdi 2005 0281044882 VW Caddy 1.9 Tdi 2006 0281011883 Skoda Octavia 1.9 Tdi 2004-2010 0281011900 0281011945 0281011946 Touran 1.9 Tdi 2006 0281011907 Touran 2.0 Tdi 0281012XXX K-Line 0281012220 VW GOLF5 1.9 Tdi 2005 0281012390 VW Caddy 1.9 Tdi 2003-2010 0281012696 Seat Alhambra, VW Sharan 2.0 Tdi 2005-2010 0281012698 Skoda Super B 2.0 Tdi 2006 0281012762 VW T5 1.9 Tdi 2006-2010 0281012792 CAN 0281012113 Audi A4 2.0 Tdi 2008 0281012545 AUDI 1.9 Tdi 2007 0281012546 Audi 1.9 Tdi 2006 0281012654 Audi 2.0 Tdi 2005 0281013XXX K-Line 0281013228 VW Jetta 2.0 Tdi 2007 0281013299 Skoda Octavia2 2.0 Tdi 2005-2011 0281013302 VW Touareg 2.5 Tdi 2005-2010 0281013311 VW Passat 2.0 Tdi 2005-2009 0281013440 VW Passat C 2.0 Tdi 2005-2009 0281013606 VW Golf5 1.9 Tdi 2006 CAN 0281013177 A6 2.7 Tdi 2007 0281014XXX K-Line 0281014004 0281014044 VW Touran 1.9 Tdi 2006-2010 0281014049 T5 2.5 Tdi 2007 0281014064 VW Golf 1.9 Tdi 2006-2008 0281014128 Tauran 1.9 Tdi 2006-2010 0281014136 Skoda Octavia II 1.9 Tdi 2006-2010 0281014891 T5 2.5 Tdi 2009 CAN 0281014384 A6 2.7 Tdi 2007 Tdi EDC15 - IMMO OFF, IMMO ON: 1.4 1.9 2.5 diesel, since 2000 year to 2004 year, some to 2006 year and even to 2008 year(without AUDI with coded pump) Selected the Needed Program with Swtiches: Tdi EDC16 K-Line IMMO OFF(3) Immobilizers Simulator Cocting the emulator Red-power Blue-GND Green-Code White-CAN L Black-CAN H Two Leds Incidcating: Whilte LED-Power Blue Led- information about transmission - all switches turn off- diagnostic mode 2 sec do not light/ 1 sec will blink -Adjusting to the driver-blinking 1 sec -After adjusting 2 seconds is light on and then will stop for 1 sec Citroen, Pegueot, Renault ECU with processor TMS374-IMMO Power supply of emulator +5V!!! 2. The goods will be sent by the most reasonable delivery way, shipping cost will be based on the number of your order. 5. In some countries, the goods you ordered may be imposed certain taxer or other charges, please learn about that clearly before our shipping, We will not pay the assitional fees or charges caused by the above reasons. This lower price does not reflect the total price you paid or the market value of the product, this policy will not apply to some countires with different tax rules. 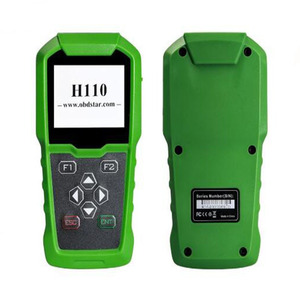 Alibaba.com offers 92 immobilizer vag products. About 92% of these are diagnostic tools. 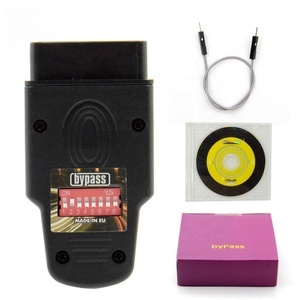 A wide variety of immobilizer vag options are available to you, such as code reader, engine analyzer. There are 92 immobilizer vag suppliers, mainly located in Asia. The top supplying country is China (Mainland), which supply 100% of immobilizer vag respectively. Immobilizer vag products are most popular in Mid East, North America, and Southeast Asia.